Should you get a second opinion on lower back pain? In a word: definitely. One of the major hurdles facing dorsalgia patients is mistaken diagnosis. It is a problem of epic proportions and is directly responsible for the terrible treatment results suffered by so many low back pain victims. Getting a second opinion is a great way to prevent misdiagnosis, as well as provide yourself with more therapy options. Patients often never even consider the idea of getting a second opinion on a diagnosis or treatment path. They simply accept whatever they are told by a doctor they met only 5 minutes before. Often, this naive trust is the direct causative reason for years of protracted suffering for the patient in the future. In some cases, this passivity is responsible for the person undergoing unnecessary surgery. In a few instances, this lack of initiative actually costs the patient their very life. This incredibly important essay examines the crucial reasons why every lower back pain patient should seek out more than one diagnostic and treatment opinion. We will discuss the common consequences of not seeking more than one view on a lumbar dorsopathy problem, as well as define the benefits offered by multiple diagnostic evaluations. Diagnosis of lower back pain is certainly a very subjective process. Doctors compile evidence and then use their personal opinion to rule out or zero in on likely causative theories of pain. Depending on the type of education and practice focus the doctor has, their opinion will vary significantly from others coming from different healthcare backgrounds. Depending on the type of treatment services offered by the doctor, their opinion on the cause of pain will also vary greatly from other care providers. Medicine is a revisionist and subjective business, meaning that doctors believe one thing today and a different thing tomorrow and all these beliefs are a result of their personal views on pain and how much money can be generated by these views. Choosing to blindly trust any single doctor, especially one where there is no history between doctor and patient, is insanity. All one has to do is read the compelling evidence on the grand scope of misdiagnosis and one will know surely that they must be more proactive if they are to protect themselves from the monumental problems associated with back pain diagnosis and treatment. Getting a second or third opinion is one of the best ways to accomplish this goal. Do not tell the second doctor that you are seeking a second opinion. Merely consult with them as if it was your first diagnostic experience. Do not allow the second doctor to have access to diagnostic reports or evaluations provided by the first doctor. Objective imaging studies are fine to produce, but we suggest leaving the reports out, when possible. Whenever possible, try to get multiple diagnostic opinions from different types of doctors with different specialties. Diagnosis is indeed highly subjective. This is obvious when patients follow our advice and report back widely different diagnostic verdicts from multiple different types of doctors. It is not that any of the doctors are inherently wrong, but instead is more a matter of what each truly believes to be the problem. Medicine is not a hard science and when it comes to diagnosis of lumbar dorsopathy, there is actually very little science involved. Instead, it is often more a combination of financial motivation, mythology, Cartesian obsession and personal opinion, with a dash of research evidence thrown in to keep the doctor out of legal trouble. Be proactive in your healthcare. 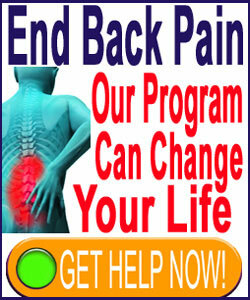 Learn why so many people do not recover from lower back pain. No matter what information you use towards this goal, you will eventually come to the same conclusion: Diagnosis is where most treatments go wrong. If you can have 2 or 3 doctors agree independently on the same diagnostic conclusion, you are far ahead of the curve and much less likely to become a victim of mistaken diagnosis leading to inappropriate and mostly unnecessary therapy.